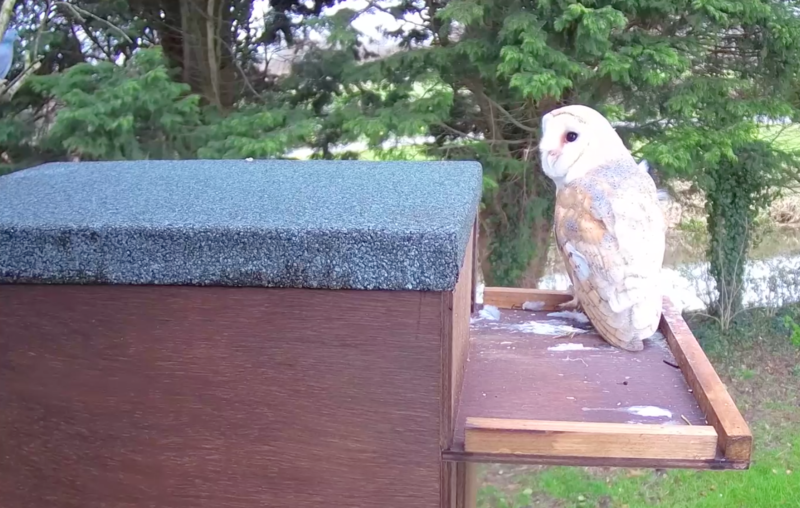 In June 2013, Wildstream TV installed an owl box from The Hawk & Owl Trust. Around a month after siting the box, we saw a Barn Owl visit briefly. It was to be another 3 long years before we saw interest in the box. In the meanwhile, Jackdaws had taken residency, stuffed the box with twigs and reared young. Each autumn we cleared the box of debris and hoped for Barn owls the following Spring. From 2013 to 2016, Barn Owl numbers were down in the area. Fewer sightings of dawn and dusk hunting took place. It seemed a bleak time for local Barn Owls. With the box sited on moorland but nestled within open trees, the box was in a good position to be inhabited. We waited in hope. In March 2016, our patience was rewarded as a pair bonded and took up residency. They had 3 owlets that summer and the box position was confirmed a success. We monitored healthy activity from the offspring over the following months. In 2017, the same pair returned only this time they had a full on turf war with the expectant Jackdaws. The Barn Owls laid a clutch of eggs but in a brief moment of both owls leaving the box to hunt, a pair of Jackdaws swooped in and crammed the box with twigs. The owls returned, stressed and unable to penetrate the mass of tangled, nested twigs. The barn owl eggs perished and the owls spent a week sat in nearby branches, looking bereft and unsettled. As the Jackdaws had sabotaged the box, but not used it to nest themselves, with permission and assistance from the Hawk and Owl Trust, we cleared the box of twigs and left the 8 owl eggs in place. Despite the eggs having perished, we wanted to see if the owls returned and attempted a second run of breeding. These incredible owls did just that and we observed them defending the box from Jackdaws for several weeks. The pair went on to have 3 more owlets, all healthy and fully fledged by late August. In early 2018, our team took a different approach. In the quest to record and film a truly intimate insight into the bonding and breeding behaviours of Barn Owls, we installed a camera within the box itself and one directly outside, built into the tree. This provides a constant live stream of footage to our data centre. Furthermore, The Hawk and Owl Trust provided a new ‘Jackdaw Proof’ box with a different entry system, preventing twigs being carried through. With healthy numbers of Jackdaws in the area, we were keen to see how well this worked. As exciting as this is, the questions we answer in our films are: would the same pair return and if so, would they reject the new style box? Would the Jackdaws find a way to beat the box design and again, out manoeuvre the Barn Owls? 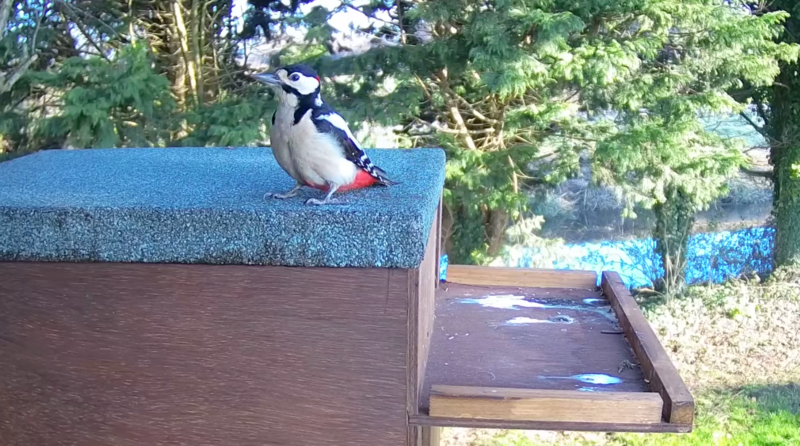 Would the cameras stay in place or would a certain woodpecker cause a technical hitch? And would a surprise, underestimated visitor to the box, end the Barn Owl’s breeding attempt? Wildstream TV will be bringing you episodes of this year’s Barn Owls as their story unfolds.